Need some inspiration for last minute gift options? Look no further. NEED IT NOW? ASK US ABOUT select 'Quick-Turn' Items Below. 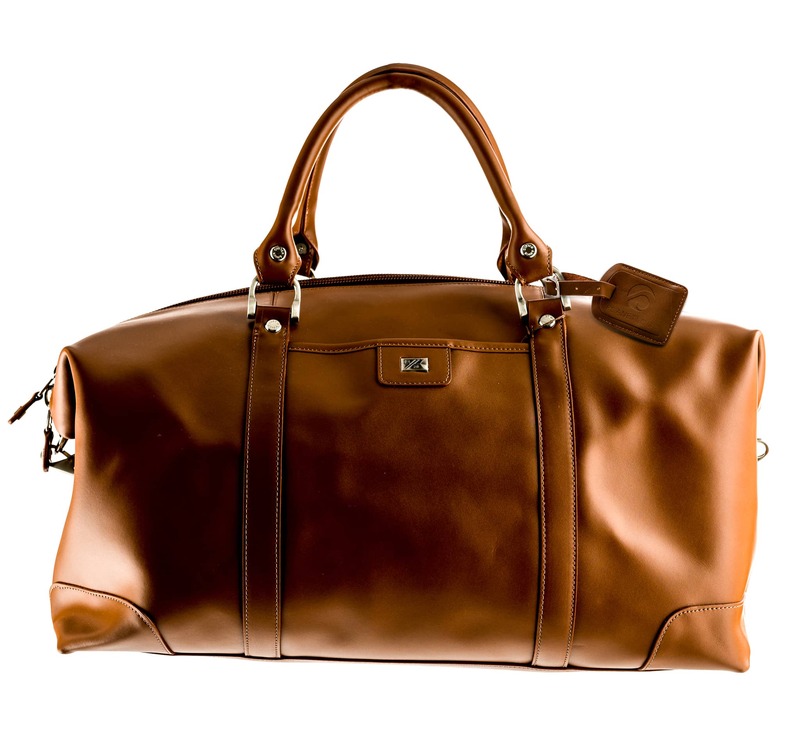 This top grain leather will make holiday travel a breeze. It's the perfect size for all of those upcoming weekend trips and boasts an interior organizer, metal feet, leather ID tag and shoulder strap. *Ask about Quick-Turn. Be the standout of those holiday gift exchanges with this 'dashing' little bluetooth speaker. 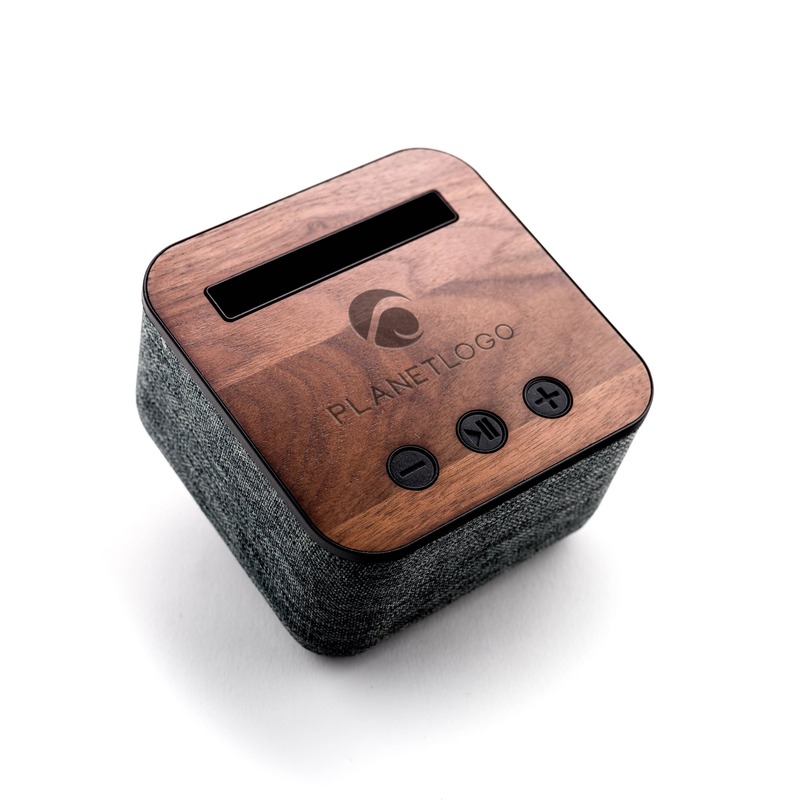 It's sleek design features cloth and real wood, smart phone stand, and a built-in microphone. Conference calls with grandma will never be the same. *Ask about QUICK-TURN. 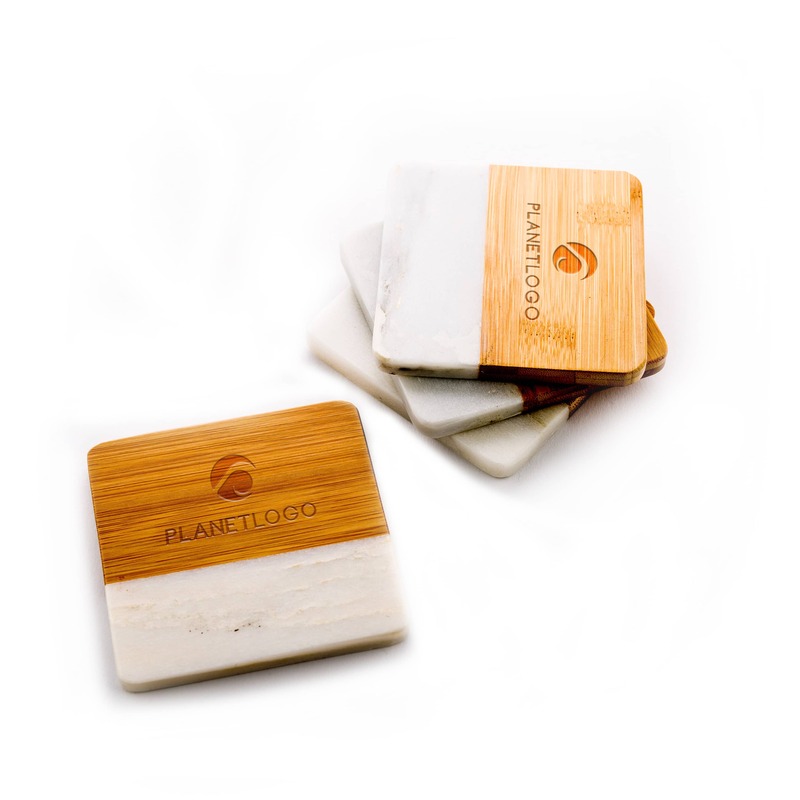 You get the best of both worlds with this set of four marble and bamboo round-edge, square coasters. Laser engraving on all four coasters. *Ask about QUICK-TURN. 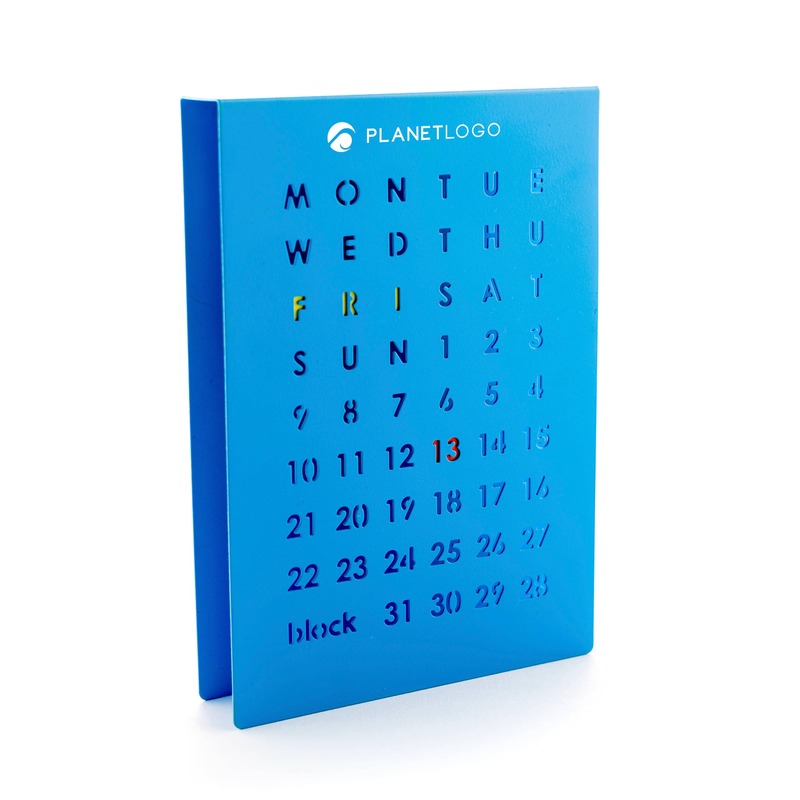 Jump right into the new year with this magnetic perpetual calendar, offered in silver, red, blue, and orange. Sleekly transition into 2018 by simply sliding the colorful magnets to Monday, the 1st. The perfect on-trend gift for anyone on your list. 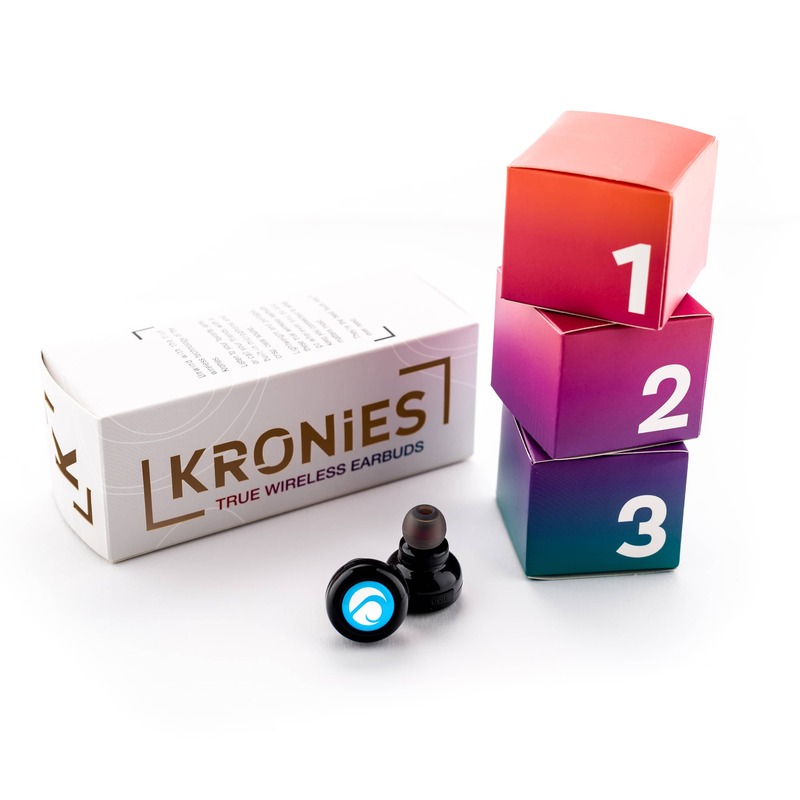 These lightweight, bluetooth pairing earbuds offer three hours of play or talk time, three sizes of ear tips, and a 33 foot wireless range—perfect for calling all of your loved ones... or listening to your favorite holiday album. Again.